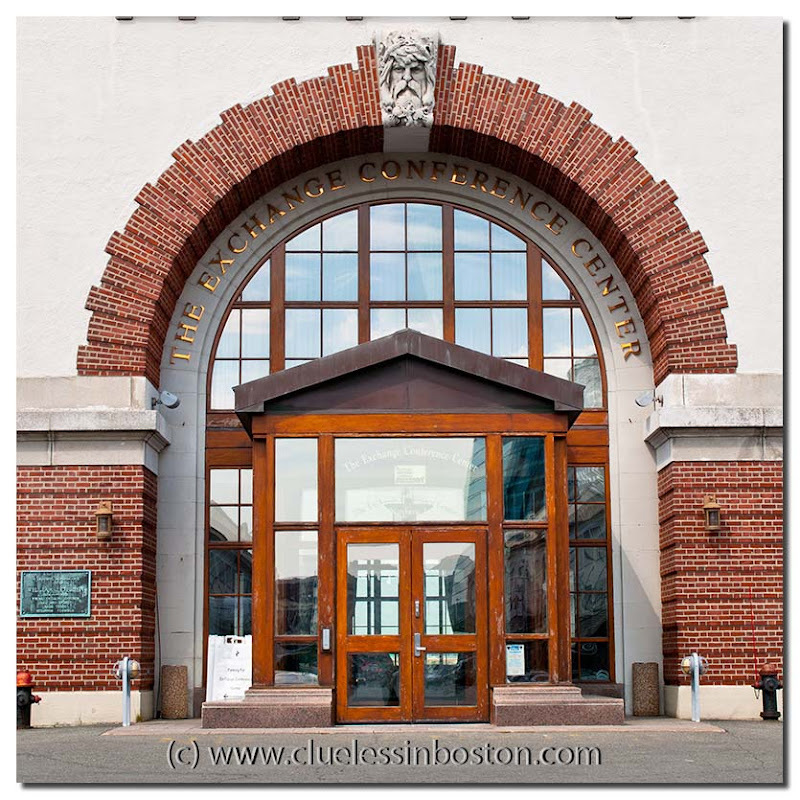 Opened in 1915 to accommodate Massachusetts’ flourishing fishing trade of the early 1900’s, the 1,200-foor long, 300-foot wide pier and its buildings provided a large, efficient facility for fishermen, fish processors and fish distributors. The facility included its own power plant as well as the world’s largest ice manufacturing plant. In 1963, the Boston Fish Pier reached its peak, landing a total of 339 million pounds of fish. Today, 120,000 square feet of renovated space on the first two floors of the pier’s two three story-processing buildings is leased to fish processors and distributors. Separate first floor elevator lobbies lead office tenants to third floor office space. Although new uses have been introduced to the Pier, fishing and fish processing remain its primary function. In 1989, 16 million pounds of fish was landed on the Pier and, supplemented by trucked in product; 32 million pounds was processed there. That still makes a lot of fish! is it Neptune above?..This face is interesting because it catches the eyes, when the door around is rather severe. wow impressive facade and the door is very charming! The architect made a statement with this entrance. I trust they have a good ventilation system if they are mixing offices with fish processing. Wow, beautiful. The history is interesting too. You are a very hard act to follow. Very interesting facts. and love the arch on top of the door ! all in balance, nicely captured !